The annual Mount David Summit allows Bates students—particularly seniors who have completed their theses—to present research, academic, and artistic work to the Bates community at large. 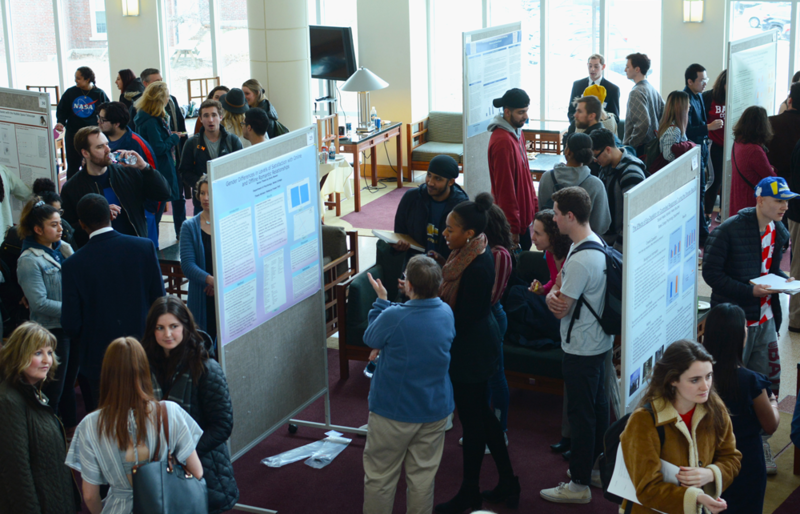 This Friday, Pettengill was teeming with students, parents, and faculty members trying to catch a glance at the numerous posters designed by students presenting their research. One senior, Kristine Zengeler, presented a poster from a long-term lab project entitled “Targeting DNA Methylation to Treat Intellectual Disability.”“I work in Andrew Kennedy’s lab, who’s in the research department,” Zengeler said. “DNA is what all our cells built off of, and it can actually be modified. So, you can add what’s called a methyl group, which is just a carbon with three hydrogens, to pieces of DNA and that alters which proteins a cell makes.” The process of DNA methylation, Zengeler revealed, had promising results for the treatment of intellectual disability among mice subjects. “We are able to rescue a deficit in long term memory in a model of intellectual disability. So we have mice in the lab that have Pitt Hopkins syndrome, which is a rare intellectual disability, and one of their characteristic phenotypes is having basically no ability to form short term or long term memories… And through manipulating DNA in these mice, we were able to essentially rescue their long term memory ability.” Zengler’s research is demonstrative of the enormous impact undergraduate research may have on future scientific breakthroughs. 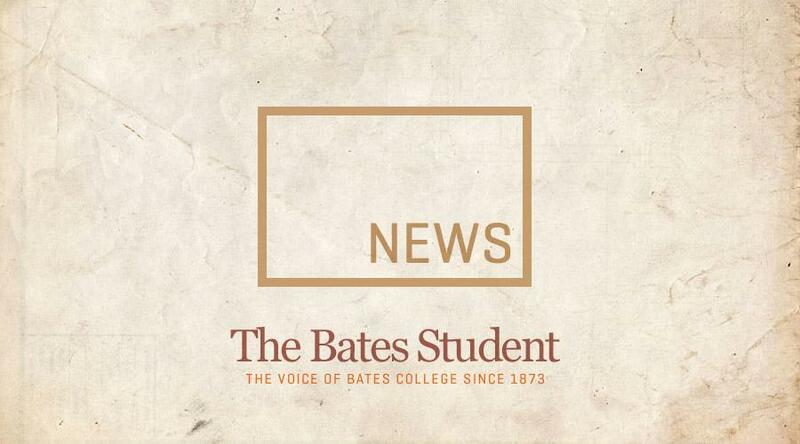 James ’19, who embarked on a project entitled “Examining Addictive and Social Aspects of Juuling at Bates College.” For those unaware, “Juuling” refers to the usage of the nicotine-infused e-cigarette developed by Juul Labs, whose flavors like mango and creme brulee have become astronomically popular with young people. The advertising methods of the company, which frequently include images of young models, have been scrutinized by the FDA, and the company stopped selling Mango pods in retail stores due to the popularity of the flavor among young people. The lack of tobacco in the product, however, makes them subject to fewer of the advertising regulations of actual cigarettes. In a survey of 224 students (109 of which admitted to Juuling at some point), James questioned Batesies about their Juul usage. He used a “hooked on nicotine” checklist (the checklist asks questions about nicotine-seeking behavior, like “Have you ever felt like you really needed to Juul?” and is frequently used for assessing addiction to regular cigarettes) to gain a sense of Juul dependency on the campus. James’ research yielded several interesting results. Firstly, his study found no meaningful difference between genders with regard to Juul usage. His study also noted that 25% of Juul users admitted to using the product multiple times a day, and another 10% at least daily. should look at Juul usage alongside other substances… my study asks participants about what context they were using the Juul in, and a lot of them mentioned at parties, and in environments where alcohol or marijuana were also in co-usage.” Possible links between other substances and Juuling may provide crucial information about usage of the product as a whole.